The Forge Bound Association formed within The Stormforge, a county where mining, smelting, and blacksmithing are its core focus and identity. You can read more about The Stormforge, and the duchy it resides in, The Anemoi, which resides in the Kingdom of Vornair. The Forge Bound Association contains a set of guilds and a school to assist its members in training, placement and (if needed) the assistance in establishing a new branch or outpost. The Forge Bound: The Blacksmith guild of the Association, has multiple branches within the counties of The Anemoi and is always looking for more branch and outpost leaders. Mineral Institute of Technology: The main school for the Association as a whole, caters to those looking for knowledge within the Mining and Blacksmithing professions. Aids in the collection and sharing of knowledge throughout the Association as well as trains new members to eventually be placed into (or establish) a branch/outpost of one of the Associations guilds. As The Anemoi was improving its techniques to mine, smelt and smith, there became a growing need for consolidation of the many groups’ knowledge and skills in order to continue to improve the quality of their metal goods. 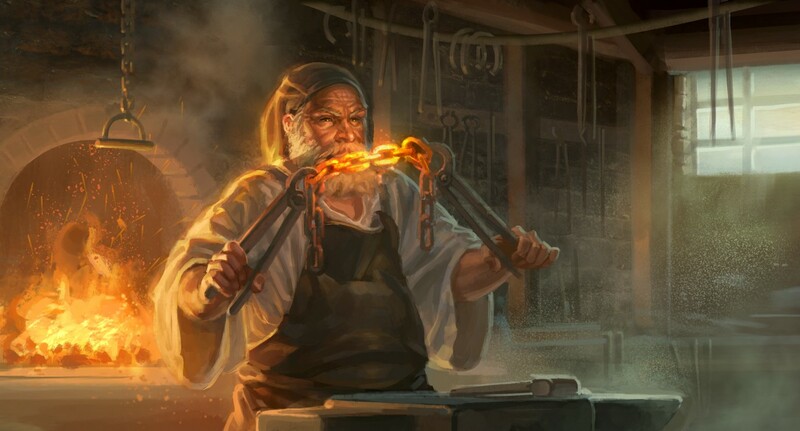 The Count of The Stormforge decided to form the Forge Bound Association, where the best miners and smiths share their knowledge and skills with each other to improve the overall quality of goods produced by any member within the Forge Bound Association. Though the Association originally formed within The Stormforge, they strove to expand their influence beyond the knowledge and skills sourced from within their own county, instead reaching out to those with similar ideals in neighboring lands. Representatives were sent out to find skilled miners and smiths with similar goals in mind, asking that they share their expertise to help improve the quality of metal goods for all involved. Though the ideal of the free distribution of knowledge for the improvement of members was the founding principle of the Association, it was quickly seen that integration with the local economies around each branch could be leveraged for economic gain. Each branch strives to develop strong ties to the supporting markets that they both buy from and sell to. Whether those ties are to local merchants, traders, transporters or simply the local populace, this concentrated effort to build up contacts has become core to the success of the Association as a whole. By sharing those contacts with other members of the Forge Bound Association, each member can be certain that they can efficiently and productively sell their merchandise no matter where they happen to find themselves. Combined with the Association’s close relationship with The Stormforge, a county that intends to be a primary supplier of metal goods to markets throughout the duchy, members can also be certain that they will never be without highly sought after work. The Association also strives to form alliances and business agreements with other guilds and groups who share similar gameplay goals but do not wish to be subsumed by the Association at large. These alliances will be built on the sharing of expertise, skill, and business information to the benefit of both parties. This relationship allows them to remain as a separate economic entity, operating under their own leadership and market goals, while still benefiting from the relationships that the Association builds abroad. As each alliance strengthens over time, so too will the flow of information and resources increase, with the hope of building a strong foundation of cooperation. The Headquarters houses the most talented in their field, and all knowledge for their craft will be recorded to be stored for future training. The recorded training material will be used to seed other counties’ Branches with training material for new guild members. The Headquarters will receive copies of all Branch created training material, so it can be stored and disseminated to any other Branch. Training new members who decide to reside in or near the Headquarters when they start will be one of the main purposes of the Headquarters. They will train new members in their craft as efficiently as possible with the vast knowledge in their records. As these members achieve their training goals, they could either stay at the Headquarters and practice their trade in the area, or venture out to form or join another Branch/Outpost. The Headquarters will also work to establish strong bonds with other trade guilds in order to work in conjunction with them on cross profession projects and crafting jobs. They will also host regular meetings with all the Branch owners as well as hosting conventions where members from all the branches of the Association are invited to travel to the headquarters. They will train with the best of their profession, trade knowledge, and trade goods/materials. Branches will operate similar to the Headquarters, but in a different county. It will house training material and record new training material from its most skilled crafters. The Branch will send a copy of all new training material to the Headquarters. Similar to the Headquarters, Branches will work to train new members with its vast collection of training material and then let them move out to establish or join an Outpost within the county. The Branch will establish trade routes and contacts within its county and coordinate with the Headquarters for trade between Branches of the guild (cross county) and to establish communications for outside traders and allied guilds. Branches will be responsible with managing and disseminating the training material and info to the Outposts within their county. They will host regular meetings with county Outposts’ leaders in order to consolidate knowledge gained from the Headquarters as well as create new material from the Outposts to be shared between the Outposts and with the Headquarters. Outposts will be formed in towns throughout a county which already has an established Branch. The Outposts will generally focus on a specific trade within the Association. The Outposts will practice that trade and work to grow its knowledge and skills. It will, if capable, record new knowledge and skills into trade manuals they could then bring with them when meeting at the Branch to share knowledge and grow over all skills of the Branch. If unable to accurately scribe their own manuals/instructions, they will send those most knowledgeable to the meeting and the Branch would aid in recording the information. Outposts will generally work to house and grow their members of the specific trade and aid them in accelerating their training with the assistance of the knowledge and training they have received from their Branch and indirectly from the Headquarters. They will also likely receive new members that have been trained at their county’s Branch or even a migrating Association member who trained at the Headquarters. All such migrations will be pre-approved by both the Outpost and its corresponding Branch to make sure the new member meshed with the Outpost’s community. There will be a council formed which includes each Branch leader of each guild. Recently formed Branches will start out attending the Council meetings, and as they develop their Branch and relationships within the Association, their opinions on matters discussed in the council will carry more weight. The Headquarters leader will have the ultimate say on decisions made by the Council but no major decision will be made without the Council's input on the topic. The Council will meet regularly to coordinate each Branch with one another and to update each other on the current state of their Branch, its Outposts, and any other alliances/trade associations they may have formed. These meetings will also be the most opportune time to share the gained knowledge/skills of their trade between each Branch leader and the Headquarters, hopefully, sending each Branch leader back to their respective Branches with new knowledge to share amongst their Outposts and members. Houses the Headquarters for the Association which organizes and manages the trade routes/contacts and knowledge/skills between branches outside its county lines and all outposts within. Also houses the headquarters for The Forge Bound (Blacksmithing Guild) and The Mineral Institute of Technology (M.I.T) (Mining & Blacksmithing School). Kultûhm: (Mining/Smelting) Mayor Sneezewortt’s Town will house the Headquarters for the Forge Bound Association as well as a branch of Valkenburg Mining and Stone. His goal is to establish this Branch as the core location for mining and smelting knowledge and skill within the county of The Stormforge. Baron Diesel’s Barony: (Quarrying) Baron Diesel’s town will house an Outpost of Valkenburg Mining and Stone. His goal is to establish this Outpost as the core location for stone production and to develop the knowledge/skills to run large scale quarries throughout the Stormforge. Fenris de Lupin’s Capital: (Blacksmithing) Count Fenris de Lupin’s county capital will not only house the Headquarters for the Forge Bound (Blacksmithing Guild), it will also house The Mineral Institute of Technology (M.I.T) which will be the educational arm of The Forge Bound Association, gathering knowledge and training members on the newest techniques within mining and smithing. GrumpyKitten’s town/outpost: (Smelting/Blacksmithing) Based on professions/game mechanics, GrumpyKitten will most likely start up an Outpost of the Forge Bound (Blacksmithing Guild) in close proximity to Sneezewortt’s town with a focus on smelting and blacksmithing. His goal is to either start the Outpost within Sneezewortt’s town or near it, in order to have a close connection to the miners pulling the ore out of the ground so that it can be quickly processed into usable metal for his blacksmithing needs and the counties as a whole. The Forge Bound Association has formed an alliance with the Arenthian College of Military Technology. The alliance will share knowledge, trade routes and work on joint projects if/when possible. The ACMT also wishes to share professors to help boost/share the knowledge each guild has. The Association is going to attempt to use professors, if needed, in all of its knowledge sharing as well. The Forge Bound Association has formed an alliance with the DKM Courier Services. The alliance will share knowledge, trade routes and work on joint projects if/when possible. The DKM Courier Services plans to establish and run transport and courier services wherever possible and The Forge Bound Association would love to share its trade routes with DKM and use their couriers to transport goods and messages. Any members that wish to join any of the listed Guilds and Schools and their specializations. Any new Outpost or Branch of the Association, guilds and/or schools. (Reach out for possibilities of assistance in launch a branch) Any other guilds/schools/associations that wish to develop trade relations Please reach out with any questions or for more information on our Discord. Thanks for considering! Stormforge Tactically Optimized Regional Economy formed as a joint effort within The Anemoi of multiple regions, The Stormforge, a county where mining, smelting, and blacksmithing are its core focus and identity, and Zephyros, a county devoted to raising the best animals and their products. You can read more about The Stormforge, Zephyros and the duchy they reside in, The Anemoi, which resides in the Kingdom of Vornair. Please reach out with any questions or for more information on our Discord. Thanks for considering! "Diplomacy is the velvet glove that cloaks the fist of power"
Happy to welcome the Arenthian College of Military Technology as an allied guild. Excited to be joining the guild as a miner within sneezewortts town! Updated to include our newly added alliance with the (DKM) "Don't Kill the Messenger" Courier Services, excited to work with them and use their transport services as much as possible! In talks with Helgrim Enterprises Lots of opportunities working with them! Updated the Associations information with current guilds and schools under it. Very nice to see it all coming together. 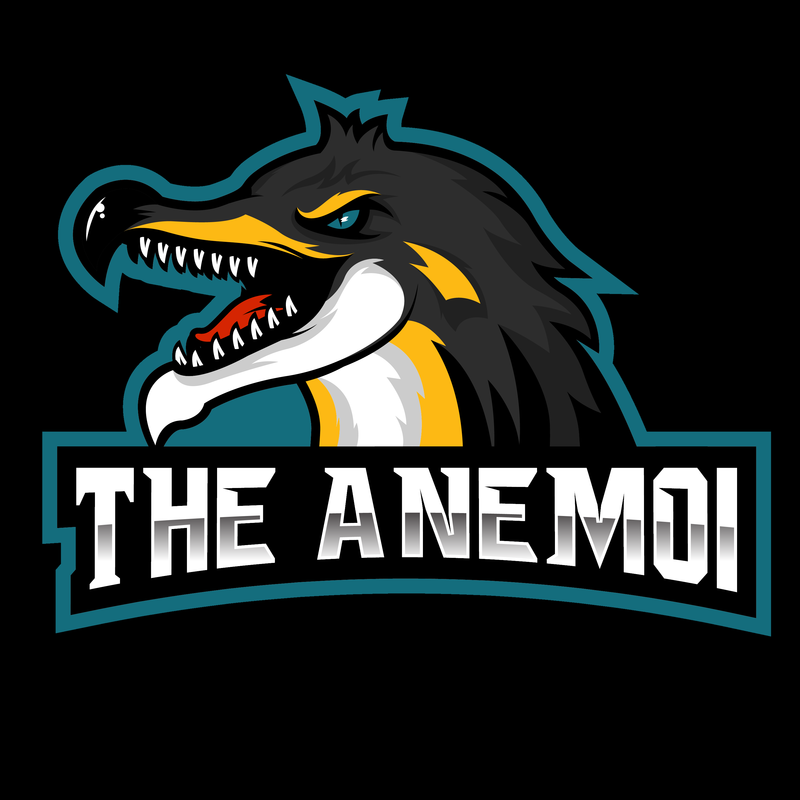 Looking forward to setting up a branch in The Anemoi.